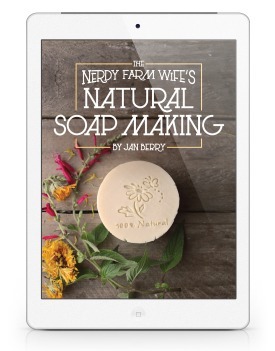 While my Natural Soapmaking Ebook Collection continues to be a best seller, I’ve also received a lot of requests from readers wanting to purchase individual items from the set. This weekend, I dug into my online shopping cart system, made some tweaks and changes, and finally made that happen! If you’ve ever wanted to just purchase one ebook at a time from me, then you’re at the right place. Each item is listed separately below, along with the price and a few notes to help you determine if it’s right for you. Before we proceed though, I want to take a moment to express my gratitude to you. This was designed as a companion guide to my Natural Soap Making ebook, to expand on the information in that book, but if you already know the basics of soapmaking, you could jump right into this one. 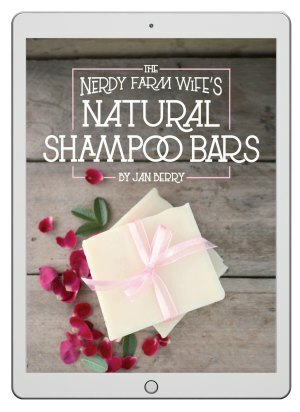 This is my newest ebook, designed to be an optional add-on to my Natural Soapmaking Ebook Collection. This too was designed to go along with my Natural Soap Making ebook, but if you know the basics of making soap, you could jump into this one as well. This is my original natural soapmaking ebook, updated and expanded several times over the years. It’s perfect for the beginner soapmaker, or the more experienced soapmaker who is new to natural soapmaking ingredients or who wants to expand their natural soap recipe collection. 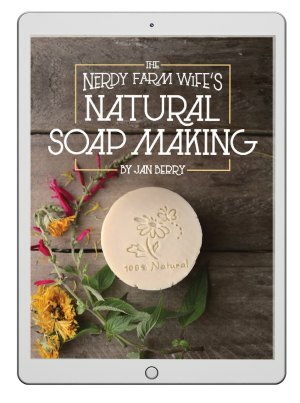 Please note that this Natural Soap Making ebook is NOT the same as my Simple & Natural Soapmaking print book (found on Amazon or local bookstores). They have different recipes and features – you can own both and not feel like you own two of the same thing. This is my popular video course that well over 1,000 students have enjoyed! 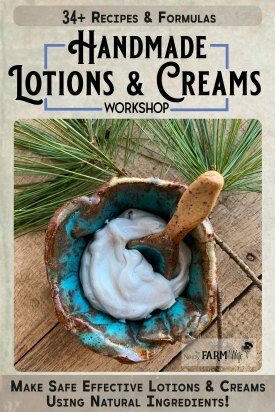 It’s most often purchased together with the Natural Soapmaking Ebook Collection (since you save $5 that way), but you can also buy it alone. 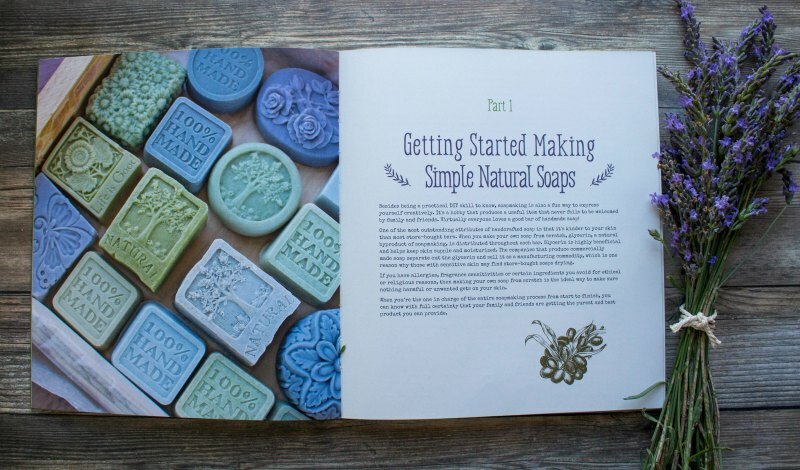 Last, but certainly not least, we have my print book, Simple & Natural Soapmaking. I spent a solid year and made hundreds of batches of soap while creating this book – it truly was a labor of love. My favorite part was that I was able to include a photo gallery showcasing dozens of soaps made with a variety of natural colorants, and the rates used to turn them that color. You can use the “look inside” feature on Amazon to get a peek at the contents and to pick up a copy. Your local bookstore might also carry it. Thanks for reading through this far! If you have any questions about any of the products, just let me know in the comments below and I’m happy to help. 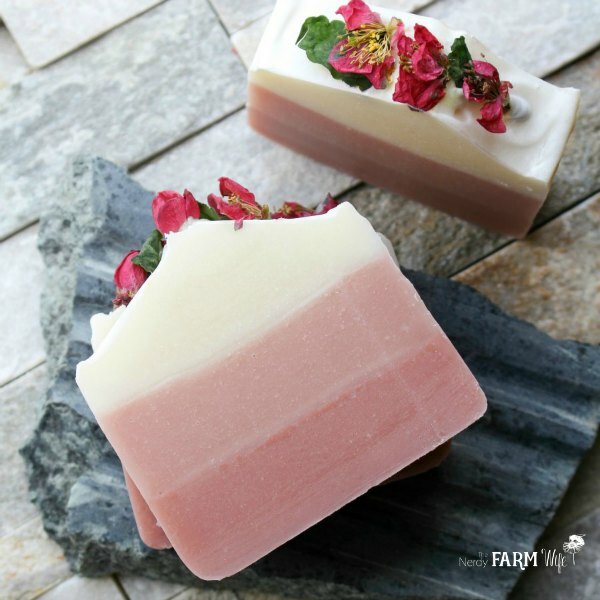 Subscribe to my newsletter and receive my latest natural soap recipes, body care projects, and creative uses for herbs & flowers, 2 to 4 times per month. I had emailed you quite a while ago about using lard in soaps, and you said you had an ebook or something in the works. 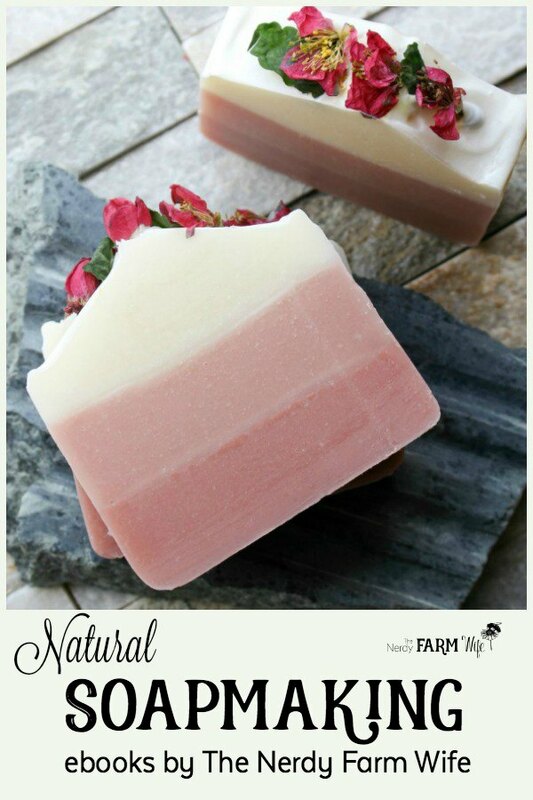 Does the Natural Soap Making book include many recipes using animal fats? Hi Melissa! 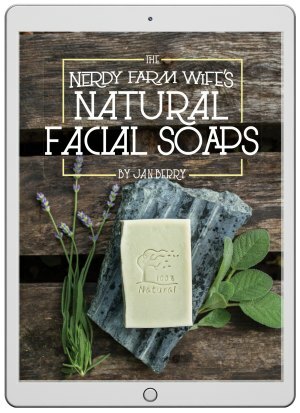 The Natural Soap Making ebook is pretty much mostly vegan. 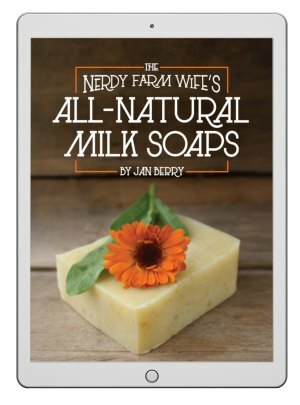 My print book on Amazon – Simple & Natural Soapmaking, has some recipes with animals fats (especially the “From the Farm” chapter). You can also switch out lard (or tallow) in many soap recipes that you come across online or in books, replacing palm oil or cocoa/kokum butter in the existing recipe with lard in many cases. I still plan to make something (ebook or pdf/video workshop) with lard/tallow soapmaking, but I have more project ideas than time. :) It’s still on my to-do list though! I appreciate you asking about it; it helps keep it on my mind.